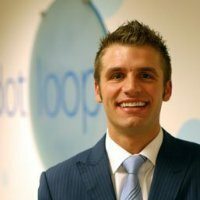 Co-founder and CEO of cloud-based real estate transaction management system dotloop, Austin Allison stirred up public debate around Realtor associations’ roles as technology and service providers to their members when it pushed to get access to the California Association of Realtors’ real estate forms this year. His Cincinatti-based company also grew over the year and now has approximately 400,000 agents using the platform (approximately 80,000 paying for it) to negotiate, sign and close deals at 2,500 brokerages with more than 50 partnerships with Realtor associations. Allison co-founded dotloop in 2009, after studying real estate development at the University of Cincinnati and corporate law at The University of Cincinnati College of Law.